You will be able to Learn to Create your own Photo WhatsApp sticker? That You Must Check Out. Today we are here with Detail guide on WhatsApp sticker. Go to the Google Play Store and download ‘Sticker maker for WhatsApp’. Enter the sticker pack’s name and author. This is just for descriptive purposes and your customized stickers won’t be accessible to other WhatsApp users. First, add the stickers pack’s icon and then tap on the next tray to add a new customized sticker. You will be asked to add these stickers to your WhatsApp app. 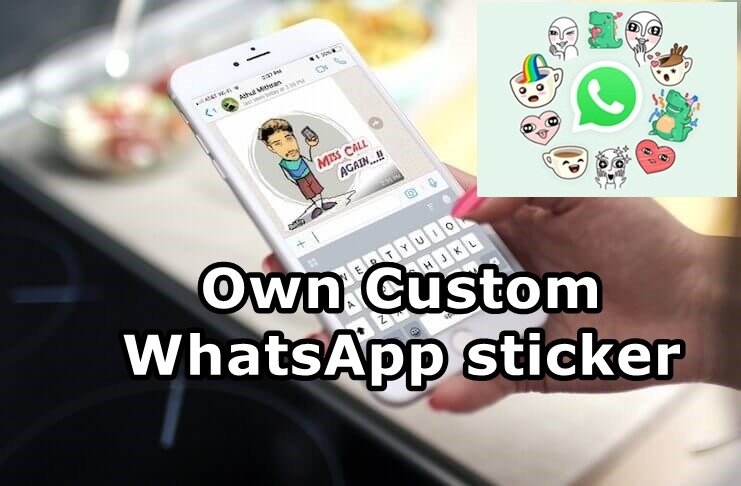 I hope you understand all article on How to Create your own Photo WhatsApp sticker? If you have any problem then ask in the comment box. We can solve your problem. If you liked this post share it on social (Facebook, Twitter, GooglePlus, Instagram, LinkedIn, Tumblr) media and consider checking out our other blog posts to stay updated with the latest Tech Content.